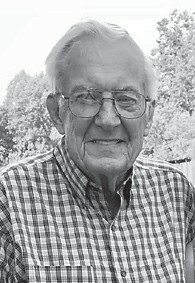 Letcher County native Kenneth Blair, 88, a retired educator and Air Force veteran, died November 28 at his home in Lexington. After serving in the Air Force during the Korean War, Mr. Blair worked in the field of education before retiring as the Bluegrass Area Superintendent for Kentucky Vocational Education. For the past 16 years, a scholarship in his name has helped fund tuition for eastern Kentucky students attending the University of Kentucky in Lexington. Mr. Blair attended Porter Memorial Baptist Church in Lexington and loved being outdoors, gardening, winters in Florida, and most especially, time with his family. He was an exceptional craftsman, a patient listener, a wise counselor, and a thoughtful and loving husband, father, and grandfather. A son of the late Monroe and Vina Blair, he is survived by his wife of 63 years, Anna Lou Blair; two daughters, Beverly Tharp and husband Jim and Tammy Kmetz and husband Tom; five grandchildren, Jen and husband Bryan, Jordan and wife Christina, Blair and wife Misha, Christian and Lillie; a sister, Carol Sturgill- Bryant and husband Jack; a brother, Tony Blair and wife Mary Carolyn Blair, and six great-grandchildren. He was a brother of the late Lorene Kahler. Funeral services for Mr. Blair were held December 1 at Letcher Funeral Home in Whitesburg. Burial was in the John Hampton Cemetery at Jeremiah. In lieu of flowers, memorial contributions can be made to the Kenneth Blair Scholarship, University of Kentucky, Sturgill Building, Lexington, KY 40506-0015.